KYIV, Ukraine—The Kremlin’s gambit to secure sanctions relief by redrawing the political landscapes in Europe and the United States has, so far, been a failure. In 2014, the U.S. and the European Union levied punitive economic sanctions on Moscow for its invasion of Ukraine’s Crimean Peninsula and subsequent proxy war in eastern Ukraine. New presidential leadership in Washington and Paris have both made clear this year that the sanctions will stay in place until the Kremlin fulfills its commitments in implementing the Ukraine cease-fire, known as the Minsk II agreements. Those commitments include the withdrawal of all Russian troops from Ukrainian territory, the return of Ukrainian control over its border with Russia in the Donbas, and unhindered access for international monitors in the conflict area. “We will not submit to Russia or Mr. Putin’s values, as they are not the same values as ours,” French President-elect Emmanuel Macron said during the campaign, referring to Russian President Vladimir Putin. Macron, a 39-year-old pro-European centrist, was elected president in a May 7 landslide over his pro-Russian, anti-EU rival, Marine Le Pen. Macron is set to enter office on Sunday. Meanwhile, U.S. Secretary of State Rex Tillerson pressed for the full implementation of the Minsk agreements during a Wednesday meeting in Washington with Russian Foreign Minister Sergei Lavrov. “Sanctions on Russia will remain in place until Moscow reverses the actions that triggered them,” U.S. State Department spokeswoman Heather Nauert said in a statement following the meeting. Consequently, there will be no workaround for the Kremlin to avoid fulfilling its Minsk II commitments. And, so far, neither the EU nor the U.S. has been willing to make concessions about Ukraine for tighter cooperation with Russia in combatting the Islamic State terror group in Syria. 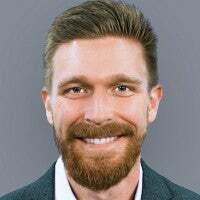 “The [Trump] administration should be wary of getting distracted by Russia and [Bashar] Assad in Syria at the expense of countering Russia’s continued aggression in Europe,” Daniel Kochis, policy analyst in European affairs at The Heritage Foundation, told The Daily Signal. Macron’s victory over Le Pen in the May 7 French presidential election was widely perceived to be a setback to Putin’s efforts to influence Europe’s political future through a hybrid campaign of propaganda and cyberattacks. Macron’s opponent, Le Pen, represented the pro-Russia, anti-EU National Front party. In November 2014, according to French news reports, the National Front received a 9 million euro ($9.8 million) loan from the Russian-owned First Czech-Russian Bank, part of a larger 40 million euro request. During the 2017 campaign, Le Pen said she would lift sanctions on Moscow. She praised Putin, criticized U.S. policy regarding Ukraine and Russia, and traveled to Moscow to meet with the Russian leader on March 24. A Ukrainian soldier on patrol. “I will not accept to have my behavior dictated by Mr. Putin, and that is the difference with Mrs. Le Pen,” Macron said during the campaign. In the last two days of the campaign, Macron’s campaign said it had been the target of a massive computer hack that dumped internal campaign emails online. Multiple independent investigations cited in news reports claimed the hackers had ties to Russian military intelligence. Moscow denied it was involved. Without conclusively pinning the Macron campaign hack on Russia, U.S. National Security Agency Director Michael Rogers told Congress on Tuesday that the spy agency had warned French authorities about the threat of a Russian cyberattack before the election. 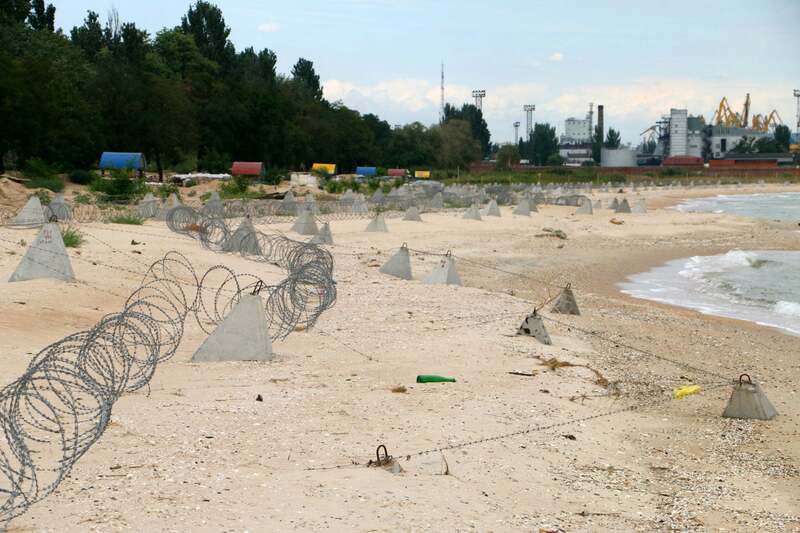 Coastal defenses in the eastern Ukrainian city of Mariupol. On May 8, the day after the French election, Putin made a conciliatory overture to Macron, urging Franco-Russian cooperation on shared security challenges such as combatting terrorism. “The citizens of France have trusted you with leading the country at a difficult time for Europe and the whole world community,” Putin told Macron in a telegram, according to Russian news reports. In Washington, the election of President Donald Trump has not resulted in any significant change in U.S. policy regarding sanctions on Moscow. On Wednesday, Trump met with Lavrov, Russia’s foreign minister, as well as Ukraine’s foreign minister, Pavlo Klimkin, in the Oval Office during separate appointments. “The United States is ready to be further involved in making Russia implement Minsk agreements,” Klimkin said following the meeting with Trump, according to Ukrainian news reports. Battle damage in eastern Ukraine. Klimkin also suggested the U.S. might join the Minsk II negotiations, known as the Normandy format, which currently comprises leaders from Ukraine, Russia, Germany, and France. Meanwhile, on Tuesday—one day before Lavrov’s Oval Office meeting with Trump—a Russian fighter jet flew within 20 feet of a U.S. Navy reconnaissance aircraft over the Black Sea, NBC News reported Friday. Speaking to reporters in Moscow on Friday, Russian presidential aide Yuri Ushakov blamed the current tensions between Russia and the U.S. on Trump’s predecessor, former President Barack Obama. “Naturally, we do not expect that all problems—and there are quite a few of them—will be resolved overnight, because Obama and his team have left the gravest legacy on the Russian track and clearing away these obstructions will be extremely difficult,” Ushakov said, according to the Russian news agency TASS. “Russia is open for dialogue with the United States in various spheres, including Syria and any other areas where our interests meet or can meet,” Ushakov said. 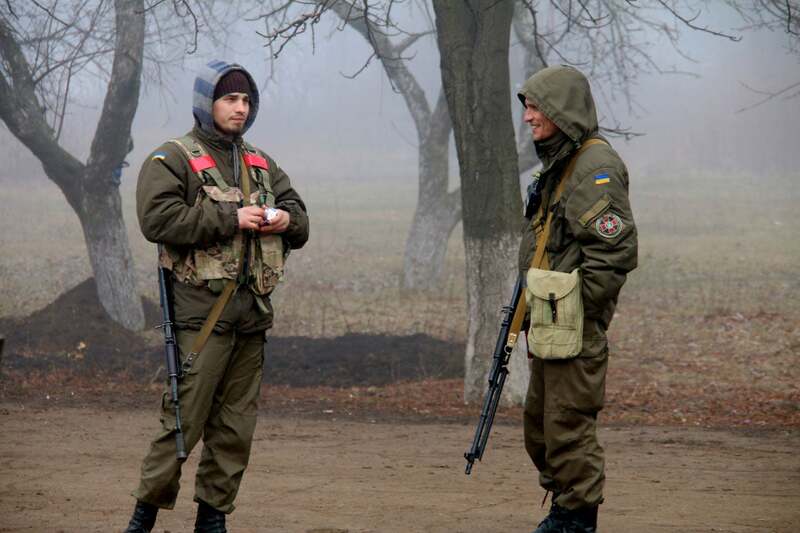 Russia’s failure to achieve sanctions relief has not had a cooling effect on the Ukraine war. Overall, the conflict is stuck in a cyclical pattern of waxing and waning violence. 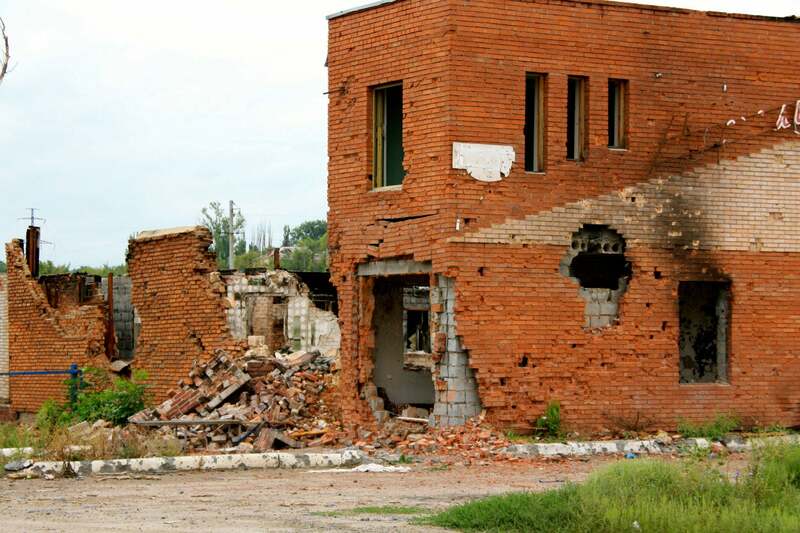 On May 7, the same day that French voters went to the polls to choose their next president, combined Russian-separatist forces fired more than 150 mortars at Ukrainian positions throughout the war zone, according to Ukrainian military officials. On that day, one Ukrainian soldier was killed in combat; another soldier died in a military hospital due to wounds from a sniper shot on April 30. 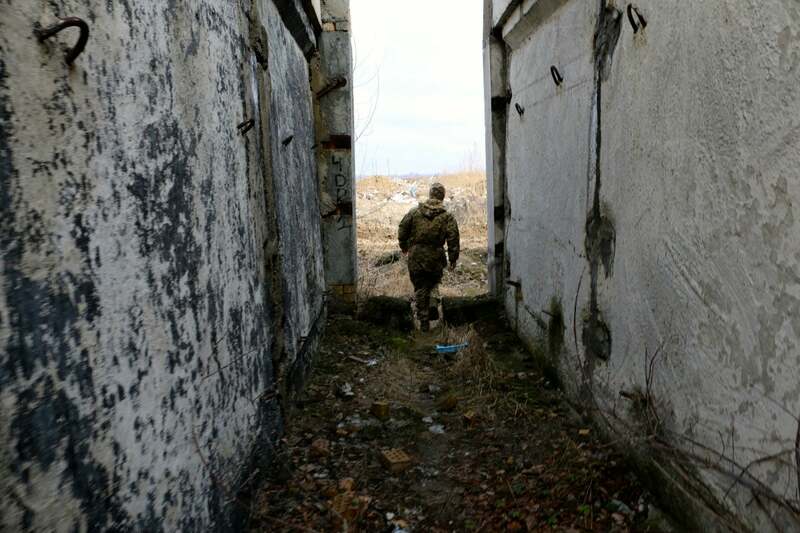 During the preceding week, four Ukrainian soldiers were killed due to enemy fire, and 40 were wounded. 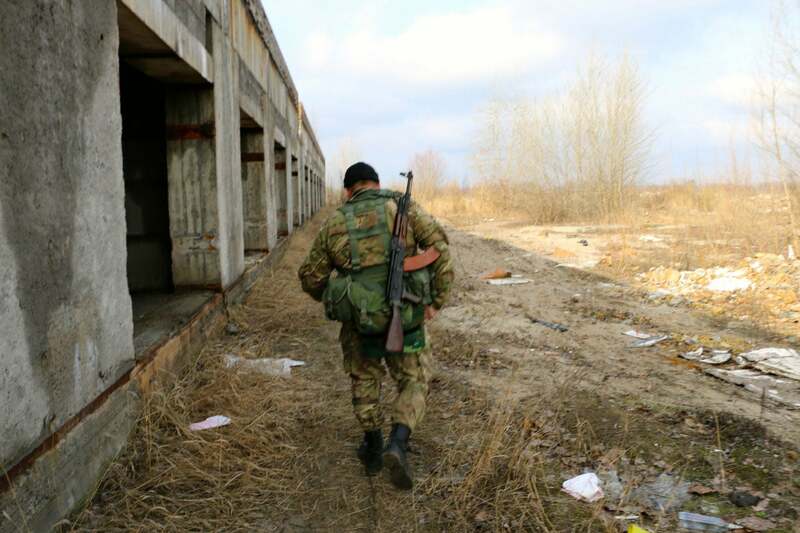 Ukrainian military forces are engaged in a three-year-old proxy war with Russia in the Donbas, Ukraine’s embattled southeastern territory on the Russian border. About a third of the Ukraine war’s fatalities have occurred since the February 2015 cease-fire went into effect. Along a 250-mile-long front line, Ukrainian troops are entrenched within a network of trenches and fortified fighting positions. 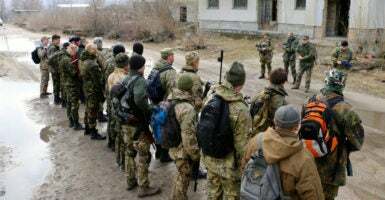 Across no man’s land, they face a combined force of about 35,000 pro-Russian separatists and approximately 5,000 Russian regulars, according to Ukrainian and NATO intelligence estimates. Artillery and rocket attacks, tank shots, and small arms gunfights are still daily occurrences. As are casualties, both military and civilian, on opposite sides of the conflict. At some places, no man’s land is only a few hundred meters wide—close enough for the enemy camps to hear each other talking. The Minsk II cease-fire prohibits the use of heavy weapons above certain calibers within prescribed buffer zones around the front lines. The cease-fire also prohibits both sides from taking new ground or using airpower. However, the war never ended. About one-third of the war’s 10,000 deaths have occurred since Minsk II went into effect in February 2015. The international organization tasked with monitoring the cease-fire, the Organization for Security and Cooperation in Europe, or OSCE, has suspended operations in the war zone after an American paramedic attached to one of its patrols was killed in a landmine blast on April 23 in separatist-controlled territory. The paramedic, 36-year-old Joseph Stone, was the first OSCE patrol member killed while on duty in eastern Ukraine. Alexander Hug, principal deputy chief monitor of the OSCE Special Monitoring Mission to Ukraine. 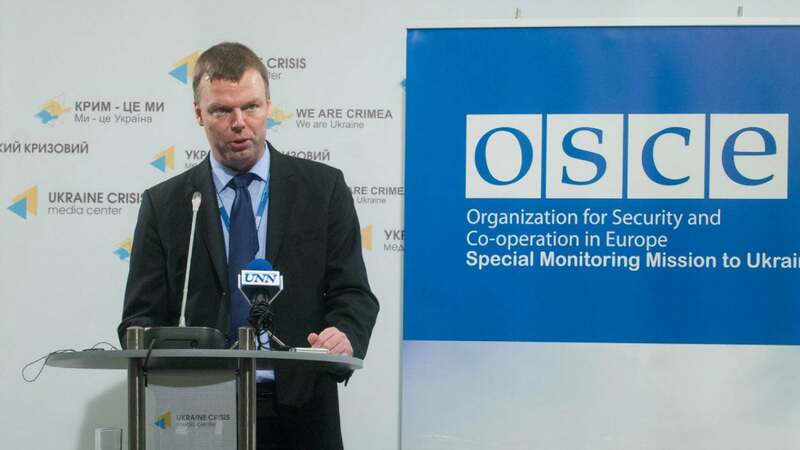 “The restrictions have reduced the geographical scope of our patrols and have entailed a grounding of our mid-range unmanned aerial vehicles,” Alexander Hug, principal deputy chief monitor of the OSCE Special Monitoring Mission to Ukraine, said during a press briefing in Kyiv. On Thursday, combined Russian-separatist forces attacked Ukrainian units 28 times, using mortars, small arms, grenade launchers, and heavy armor, Ukrainian Ministry of Defense spokesman Col. Andriy Lysenko told reporters in Kyiv on Friday. Lysenko said two Ukrainian soldiers were killed and six were wounded during Thursday’s attacks. “We assess that Moscow’s strategic objectives in Ukraine, maintaining long-term influence over Kyiv and frustrating Ukraine’s attempts to integrate into Western institutions, will remain unchanged in 2017,” Director of U.S. National Intelligence Daniel R. Coats told the U.S. Senate Select Committee on Intelligence during a Thursday hearing. “Russia largely controls the level of violence, which it uses to exert pressure on Kyiv and the negotiating process,” Coats said.